Our services provide reliable education translation with excellent quality and accuracy. At Universal Translation Services we know the right way of translating different textbooks, research papers, training programs and books and we do it at the lowest rates you can find. Translation for education is a multi-faceted industry, including anything from high-school diploma or university documents to thesis translation and textbook translation to course elements translation. We at Universal Translation Services, work with the aim to ensure that experts translate all your documents so you can always be confirmed that your documents are in the hands of experts. Our translation service method is intended to meet the high-quality standards, verifying that all of our translators are practical, linguistically and culturally flawless. UTS is entrusted by a high volume of students and clients to provide high-quality education translation services. We do the top-notch quality of translations through educational manuscript formatting, styling, and guidelines. We also commit to offering education translation services with loyalty and excellence. We have a high spirit of enthusiasm for work that makes us provide reliable translations perfect for everybody in the educational profession. UTS provides translation for various critical languages around the world, both to and from English. Our expert translators will work to give a clear-cut translation of your document while maintaining your original meaning and ensuring that your document is accurately and professionally translated. UTS provides fast, high quality, affordable copy editing services that will resolve a complete range of potential issues with your document. All edits will be performed manually or by using a tool, which allows for fast and straightforward review and management of edits done by our professional editors. Our expert proofreaders will optimize the accuracy and readability of your document to ensure its contents are communicated in the most accurate way. 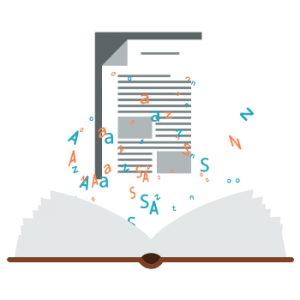 Our proofreading services will conduct a comprehensive evaluation of your document and will resolve all issues with spelling, grammar, punctuation, and word usage. We have an active team of qualified translators who can translate all sorts of files as needed by clients. They have graduated from colleges and universities with Master and Doctorate honors as one of their qualifications. With our skilled translators who have unmatched expertise and experiences in the industry, we assure accurate results at all times. Our recruitment method for our productive workforce is determined to make sure that we only have the best on our team. As an ISO certified translation agency, we provide high-quality education translations to a wide variety of people. As we expand our potential audience, we cater educational translations for students, researchers, scholars and other education-related institutions. Our good track record testifies our excellence and speed in serving happy clients around the world. We ensure that clients’ expectations and project directives are met at all times. Thesis translation demand is growing with every passing day due to the ever-growing number of people who like to work or collaborate on projects in foreign countries. If an expert does not undertake a thesis translation, then one can find mistakes in the translated texts that can lead to other problems. UTS guarantees you the best thesis translation service connected with a low cost because we are an online translation company with access to global translation facility. There is a list of factors that define the possibility for applying discounts to translation services. In this case, we would like to focus a little more on the discount that results from the use of assisted translation tools. Working with CAT tools means that the energy and time that translators must spend in their work is directly linked to the level of coincidence with the text of the TM; the more the text to be translated is related to the text in the memory, the effort will be smaller and the translation work will be easier. This concept is directly reflecting in the application of rates that correspond to the different types of words, i.e., the higher the level of coincidence, the less the client will pay for the translation. Since, in theory, the translator’s work is limited if there are a high portion of sentences with a high content of redundancies in the TM, the final time concerned shall also be less, thus optimizing the time applied on the work and designing space for a discount of the costs for education translations. However, the percentage of the discount according to the sort of word can differ from one company to another. This ability to rely on translation tools to make the job faster, easier and more accurate allows us to offer quick turnaround times, the unity of jargon, and prices that are more appealing for clients. 21 million currently enrolled college students have a spending power of 417 billion dollars, and that’s billions with a “B.” And they’re all looking for student discounts. If we offer a student discount, it’s easy to reach the college student market. All sorts of people want translators to work for free or at lower prices for a good cause. At UTS, we translate stuff in connection with their educational activities for students, because they have no commercial purpose. We also provide diploma translation services at low rates. Benefit from a special student discount as an individual or group when using our language editing and translation services. Our student discount program will provide you access to an exclusive discount only available for students. This discount will allow you to access UTS professional translation services while enjoying great savings. 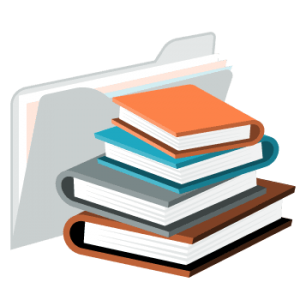 Educational document translation includes a wide array of materials and can come in many forms. We’ve provided things like school registration translation, translation of an economics course book, diploma and college transcripts translation for a student preparing to study in a foreign country. 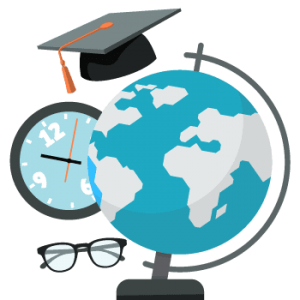 College records translation is a popular request for college students worldwide, as well as entrance application translation, course materials and textbook translation, and much more. The education translation services offered by our company are one of the most in-demand online services. Through the years, we have formed a good track history in producing translations with first-class quality and high precision at completely affordable rates. Because educational document translation can come in several different forms and formats, contact us to get your free quote. You’ll receive an instant free quote; the lowest translation rates available from a leading translation company.